Our company manufactures a vast assortment of Roller Hearth Furnaces, which are of high quality. 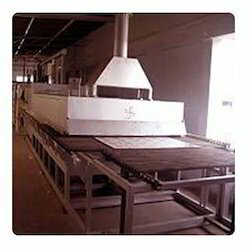 Roller hearth kilns are basically used in Ceramic and metal industries roof tiles, crockery, ceramic colors and ceramic tiles. We offer an option of customization to our clients as per their specific requirements. These products are manufactured in the guidance of our quality experts. Looking for Gas And Oil Fired Roller Hearth Furnace ?